CBD Oil and Seizures: Does it Really Help? It has been found that one to five percent of dogs have a seizure disorder. Watching your dog have a seizure is a frightening experience, especially when it’s the first time. You feel out of control. And, you’re not exactly sure how to help your dog. If this should happen, you should try to be calm and observe his surroundings to make sure he is away from anything that could harm him. You must also remember they could accidentally bite you if your hands get too close to their mouth during a seizure. When we adopt our dogs, serious conditions like seizures aren’t usually our main concern. But, learning about everything that could affect our dogs is important. After a dog has a seizure, she might have difficulty walking. She may be disoriented. Or, stare off into space. You might also notice her bumping into things she usually knows are there. CBD has become popular in the dog world. And, it comes as no surprise once you find out it’s not only been found to help with seizures, but with pain, sleep, anxiety, skin problems, cancer, and digestive issues, too. There are two types of seizures; symptomatic or idiopathic. Symptomatic seizures are caused from an abnormality inside or outside of the brain (lead poisoning, encephalitis, head trauma). Idiopathic epilepsy doesn’t have a cause, though. And, it’s thought to be genetic. Dog breeds who are commonly diagnosed with idiopathic epilepsy include English Springer Spaniels, Viszlas, Collies, Beagles, and Dachshunds. What’s the Best Way to Treat Seizures? 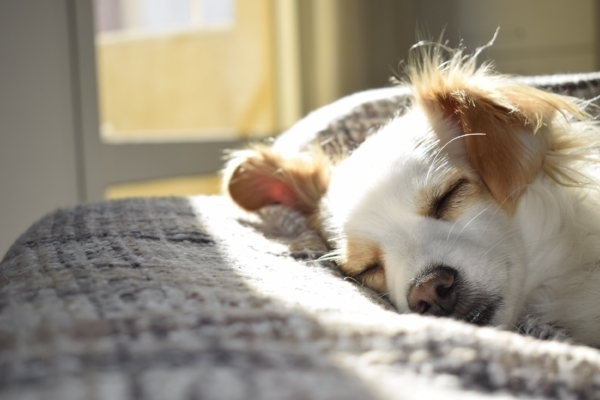 The medication that is prescribed to dogs with seizures can carry heavy side effects including lethargy, long-term liver damage, and/or confusion. One of the methods dog lovers are turning to is Cannabidiol, or CBD. CBD oil is a non-toxic, natural, and effective form of treatment (of course, make sure you talk to your vet). When you’re researching CBD and seizures in dogs, there are hundreds of positive testimonials. But, it comes as no surprise that CBD is met with controversy. When you choose to use CBD oil for your dog with seizures, it’s important to start at the lowest dose possible. You can then increase the dosage if necessary. The dosage of the CBD oil is also a discussion you could have with your veterinarian. When you’re looking for a new medication for your dog, natural or pharmaceutical, you want to know the side effects. CBD has no known side effects when administered on its own. However, CBD can have interactions with certain prescribed medication by inhibiting a family of liver enzymes, called cytochrome P450. This enzyme metabolizes more than 60% marketed medications we consume. Dogs are extremely sensitive to THC. THC is the primary psychoactive component of a marijuana plant. Cannabidoil (CBD) is one of 113 compounds found in cannabis plants. The compounds, known as Cannabinoids, are natural and don’t contain any psychoactive properties or effects. CBD with extremely low doses of THC may help dogs with seizures significantly, though. And, it has been found to be particularly helpful to dogs who are experiencing pain from cancer and/or seizures. Dr. Stephanie McGrath is a veterinarian who specializes in neurology at Colorado State University. She is an advocate for CBD in veterinary medicine and is currently leading a clinical study on the treatment of epilepsy (which causes seizures). Here at CannaCanine, we share testimonials so you’re able to hear real-world experiences about dogs who have used our products. Below, you will read a testimonial about Blaise, a dog who was experiencing seizures. His owner no longer wanted him to take phenobarbital… so she considered CBD oil. The CBD oil worked wonders on Blaise. “Blaise started to experience seizures when he was just a year old. The seizures started to be mild and were few at the start. I thought nothing of it at first because they were so infrequent. When Blaise was around two and a half he started having partial seizures. These affected half of his body and he would suddenly tumble to the ground. This was absolutely horrifying to watch as they came often without warning. Before implementing CBD oil in your dog’s routine, you should talk to your vet first. If your dog is struggling with a medical condition, you want to make sure you have the dosage right. And, you also want to ensure your dog is a suitable candidate for CBD use. If your veterinarian isn’t familiar with alternative medicine, you might consider contacting a veterinarian who specializes in it. You can find an alternative veterinarian by searching the American Holistic Veterinary Medical Association’s website. CannaCanine is 100% organic and non-GMO, two qualities you should search for in any CBD oil to ensure maximum quality. CBD that isn’t organic could contain pesticides and herbicides, which could result in more harm than good for your dog. CannaCanine only contains two ingredients- organic MCT Coconut Oil and Organic CBD Hemp Oil. This is another factor you should consider when searching for CBD oil for your dog. Generally, the more ingredients there are in the oil, the lower the quality of the oil. Why is coconut oil included? Coconut oil increases the absorbency of the CBD oil. And, it can work wonders for our dogs. Coconut oil can help with itchy skin, eczema, cuts, scrapes, wounds, and hot spots. And, on top of all of that, it’s a powerful anti-fungal, anti-bacterial, and anti-viral. I couldn’t wait to try CBD oil for my dogs after learning all the benefits. And, for a limited time, CannaCanine is offering a special promotion. This year is the Year of the Dog, and to celebrate, CannaCanine is offering you 30% off of your store purchase. Start shopping now and use code YEAR before the deal ends!